That’s like, the understatement of the century, but I can’t think of better words. I love being autistic. I love that my son is autistic. I don’t love meltdowns. In fact, I don’t even like them. Autism meltdowns are flipping tough. 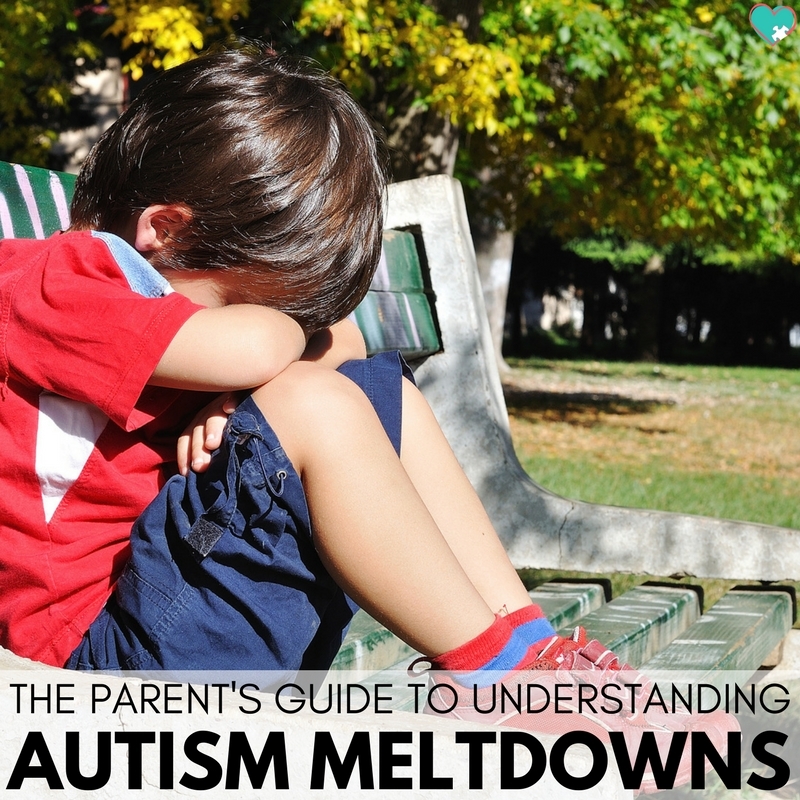 Handling a meltdown in the moment is one of the hardest things that most parents of autistic children face in their day to day lives. And there are lots of tips and strategies for that. I just wrote a whole email with my rules and tips for handling meltdowns. No one ever tells you what to do AFTER your child has a meltdown. Until today, that is. 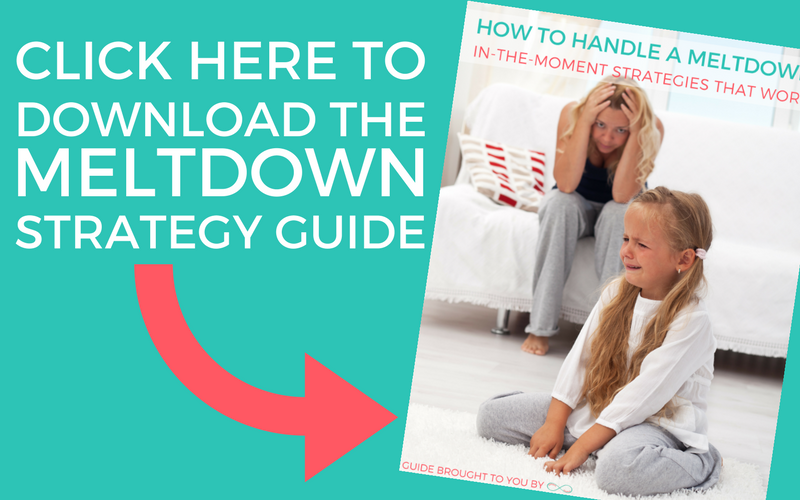 Because today I’m sharing with you the vital steps to take after your child has a meltdown, that you’re probably not doing. 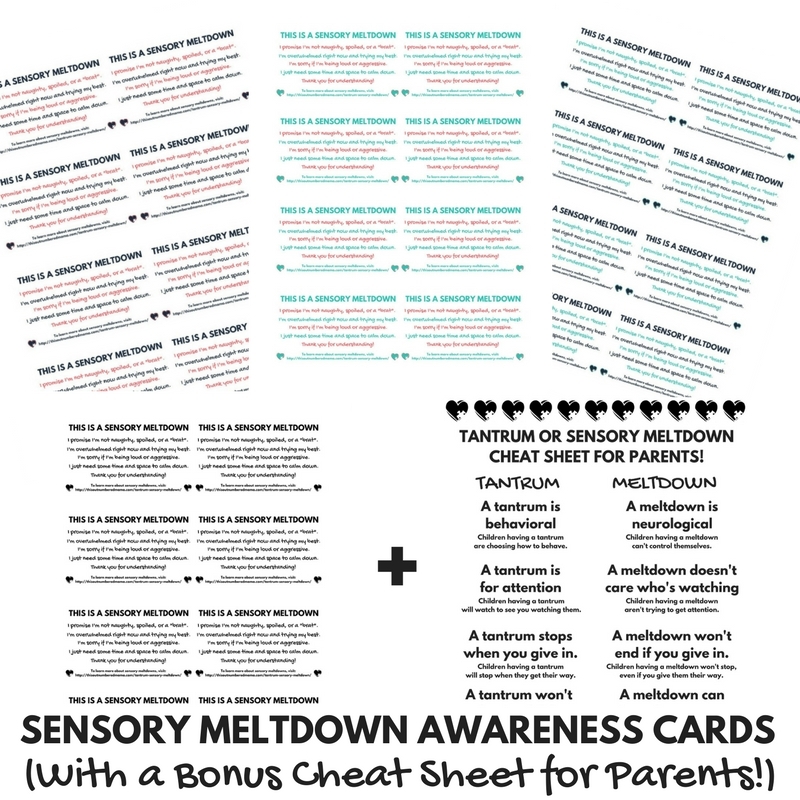 Now first some background, in case you aren’t familiar with autism meltdowns. A meltdown is not a tantrum. A child having a meltdown is not a brat. 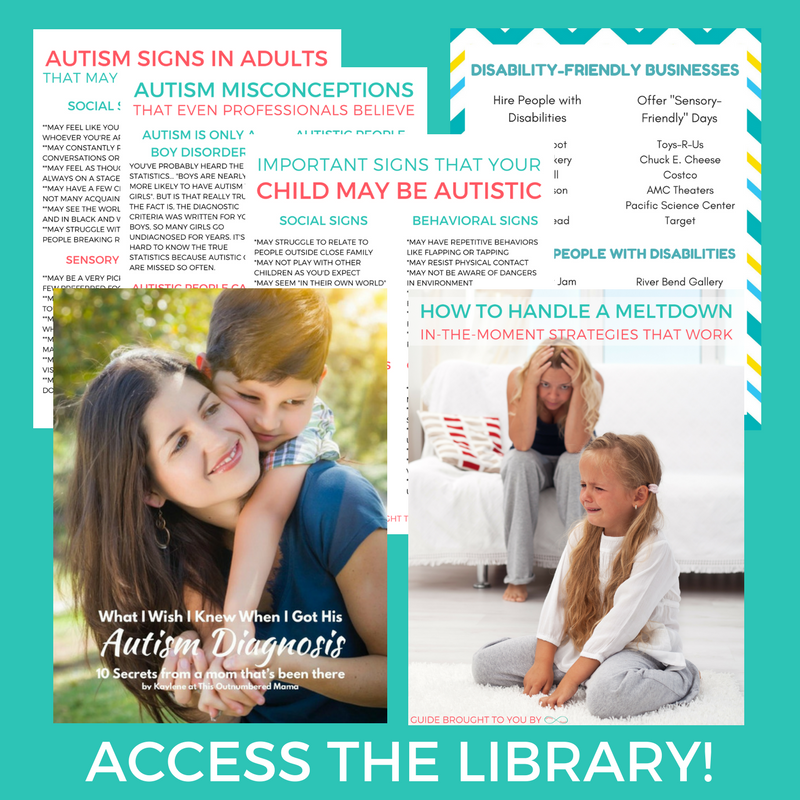 Autism meltdowns happen when an autistic person gets overwhelmed, anxious, or feels out of control. Sometimes a person having a meltdown can become physically aggressive and harm themselves or others. 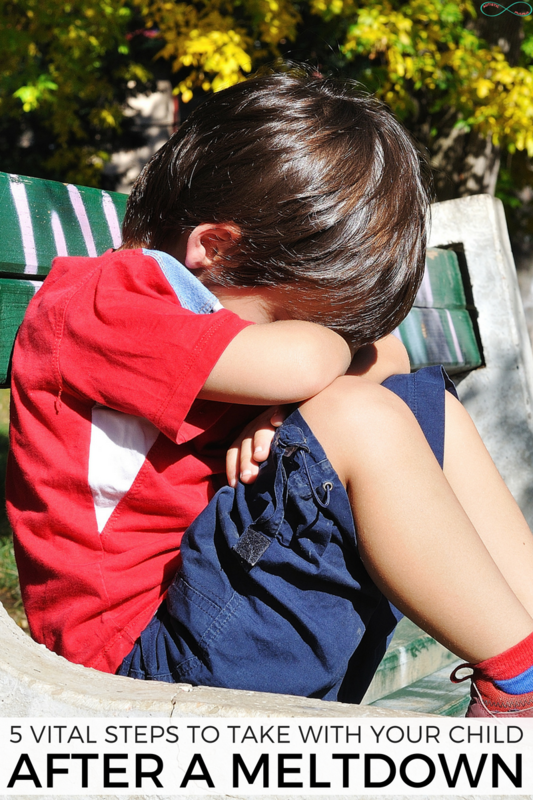 Many times after a child has a meltdown, parents think all is better now. They go back to life as usual, and then they are shocked when their child is having another meltdown just a few hours later. There are five vital steps you need to take as a family to get back to “normal”. This is one of the most important steps you can take after your child has a meltdown. A meltdown is a huge ordeal for everyone. By the end, you’re exhausted, your child’s exhausted, their siblings are exhausted. After a meltdown, everyone needs a chance to relax until they’re no longer so on edge. How much time? That varies person to person and family to family. One of my kids requires about five minutes of relaxing time, while another needs an hour or two. For me, it sometimes takes a day or two relaxing to fully come out of meltdown-mode. When in the relaxing step, try to avoid talking, avoid eye contact, avoid simulating your kids if you can. Zone out and watch TV? Sure. Take a drive in the car with soft music playing? Sure. Whatever your family, and your child, find relaxing. The goal is to allow your kids to be in their own world for a bit so that they have time to process everything. The next step is one that most parents at least attempt to do after a meltdown. We want to reconnect with our kids. You’ve learned that you need to outweigh “negative interactions” with “positive interactions”, so after a meltdown you decide that you and your child should have some quality one-on-one time. The issue is when parents skip straight to this step. If a child hasn’t had the chance to relax, and let’s be honest here, recover from a meltdown, they aren’t really ready to reconnect. But after everyone is calm again and has had some time to process, it’s definitely time to reconnect. For some kids, this means doing an activity together. For some, it means a “big squeeze” (that’s A-Man’s favorite). Reconnecting is a vital step to take after a meltdown because it shows your child that you still love and care for them, even when they aren’t “at their best”. Reflecting is huge after a meltdown, even though it can be really difficult. In fact, this might be the hardest step on this entire list. But it’s so, so important. After a meltdown, you and your child should take some time to reflect. What happened? What might have triggered the meltdowns? What needs weren’t being met? This needs to be a no-judgment zone. Try to avoid blame, and just discuss facts. Now, if your child is too young to have a discussion or your child is non-speaking, you can still have a bit of reflection with them. Beyond that, do some reflection yourself. It’s hard, I’m warning you now. But try to look past what your child did in the meltdown. Look at what happened before that may have lead to the meltdown. Was your child hungry? Uncomfortable? Stressed? Is this a new activity? An activity that overwhelms them? Was there a last-minute change of plans? Again, no-judgment zone. You can’t even judge yourself here. You can also reflect on how each of you handled yourself during the meltdown, and how you both came out of the meltdown. Did the safety plan work? Did you stay as calm as you could? Did something trigger you to lose control? Now, we’re not solving this in this step… We’re just reflecting. We’re realizing what happened so that we can move forward. Oh, friend. This is probably the step that gets skipped most often. After your child has a meltdown, you need to recharge. You know all the catchphrases. They’re cliche because they’re true. Autism meltdowns are physically and emotionally exhausting, and you need to take time to recharge. Is it realistic to say that you should take a girl’s day for mani-pedi’s every time your child has a meltdown? No. But taking some time, even if it’s just a 20-minute shower, to recharge your batteries, fill up your cup, and remember that you’re a human, is absolutely vital. Once you’ve done all these steps, you get to re-prepare so that you’re just a little more ready for next time. This means, creating a family safety plan if you don’t already have one. It means creating a visual schedule before you try that activity again. It means packing some sensory tools for the car so that you’re always ready when your child gets overwhelmed. It means whatever it needs to mean for your family. Whatever you’ve learned from this meltdown, usually in the “reflect” step, can be put into action here. I’m not promising this means you’ll have a meltdown-free life, because it doesn’t. I’m not even promising that whatever you do in this step will help the next meltdown go smoother, it might not. 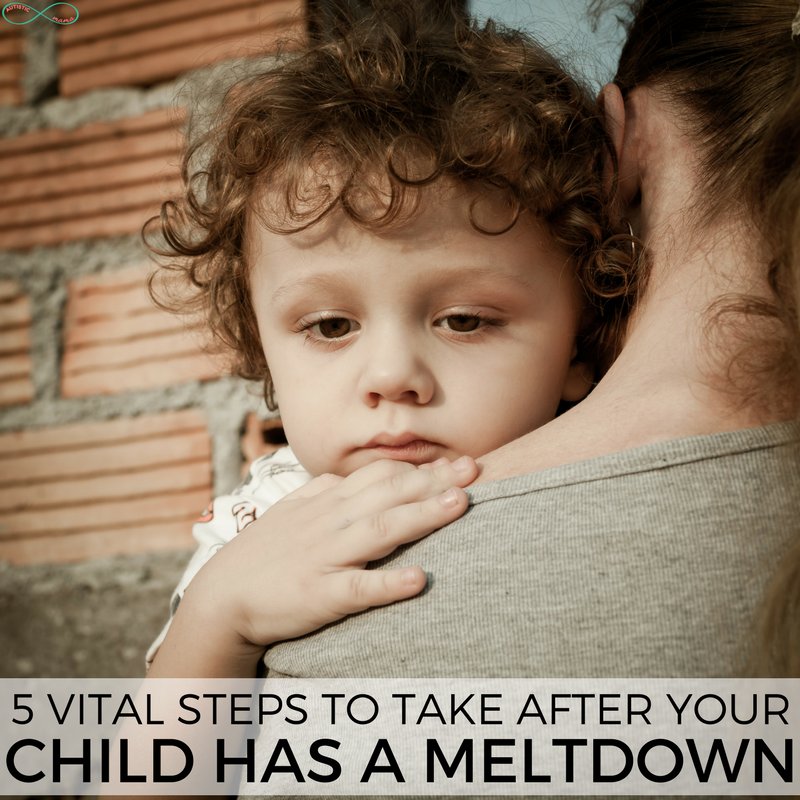 But as you go through these vital steps after every meltdown your child has, you’ll come closer and closer to helping your child manage meltdowns successfully. This is a fantastic resource. Thank you. I definitely skip number four most of the time. When I do it, though, it usually involves staying up late, either writing or listening to music in an otherwise quiet home.